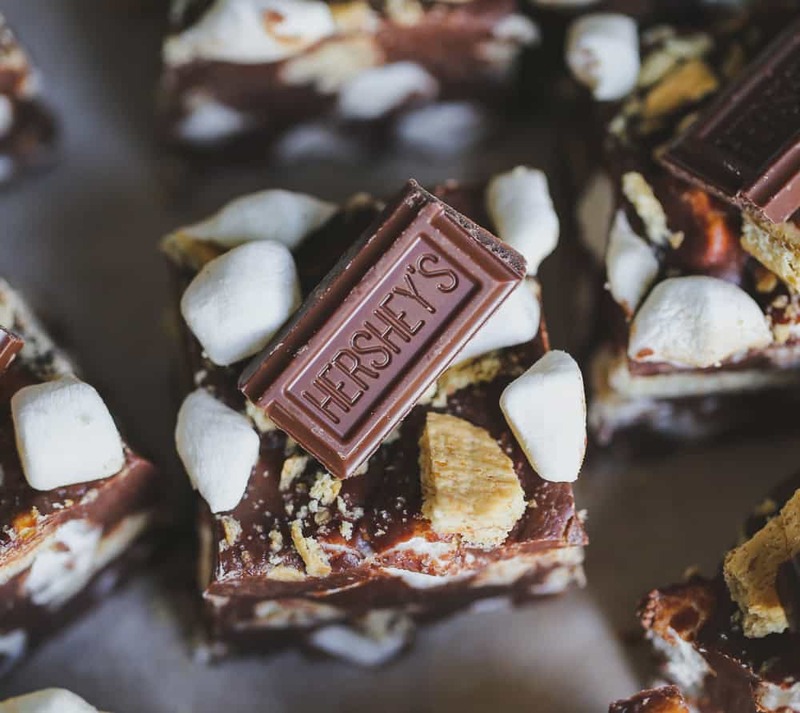 If you love the yummy trio of marshmallow, chocolate and graham crackers and you’re not wanting to hang outside waiting for the bonfire to start up, you’re going to love this alternative — Easy S’mores Fudge. It’s got the best of both worlds! 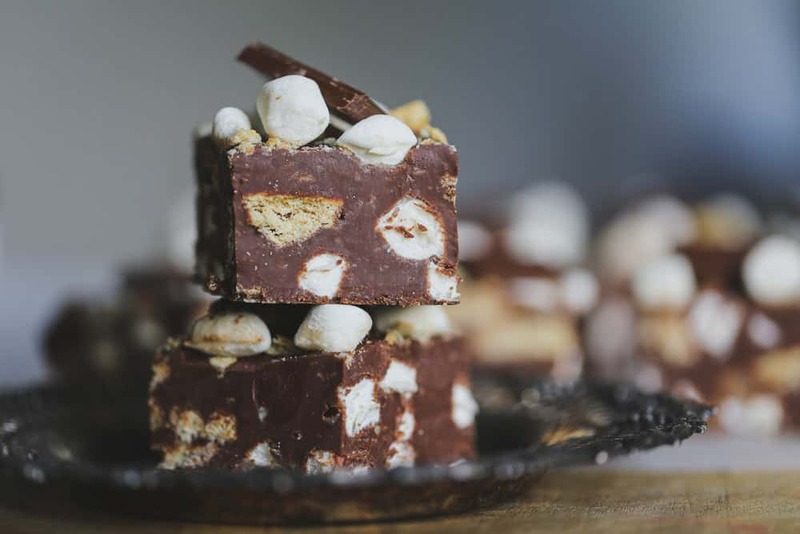 S’mores in a yummy, yummy creamy fudge! 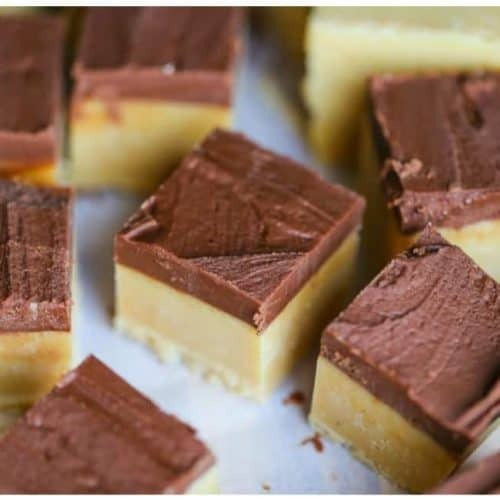 I made this fudge for my ‘bestest’ friend Sarah. She just had foot surgery, again. I’m thinking there better be a third-times-a-charm ending to this, meaning this is the 3rd time she’s had surgery on the same foot. Though it was depressing to hear she had to have the surgery. I wanted to make something special for her and my way of cheering up my friends, is to make them something I think they will love. She loves s’mores anything for as long as I’ve known her, so this was perfect! 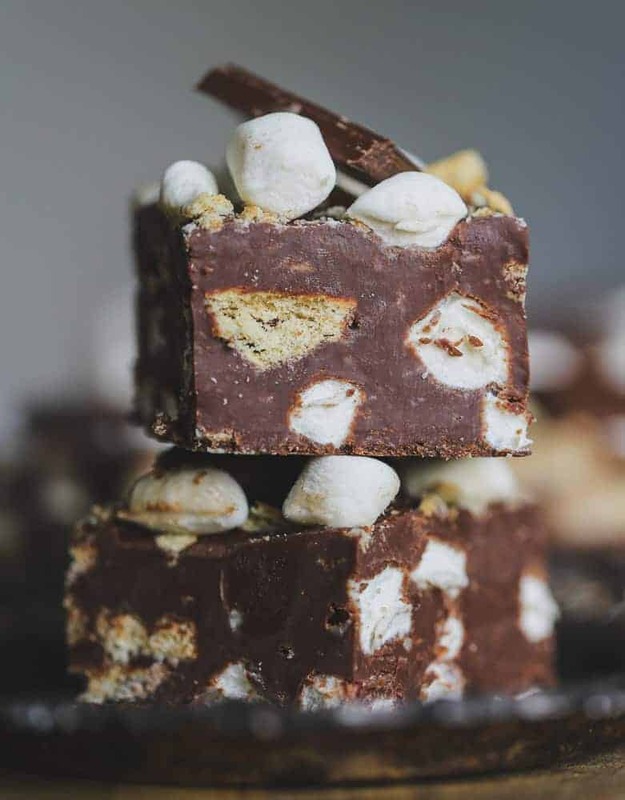 When serving it, set it out 15 – 20 minutes to come to room temperate for a creamy, delicious indulgent fudge to get the best tasting flavors of the graham, marshmallow and chocolate. 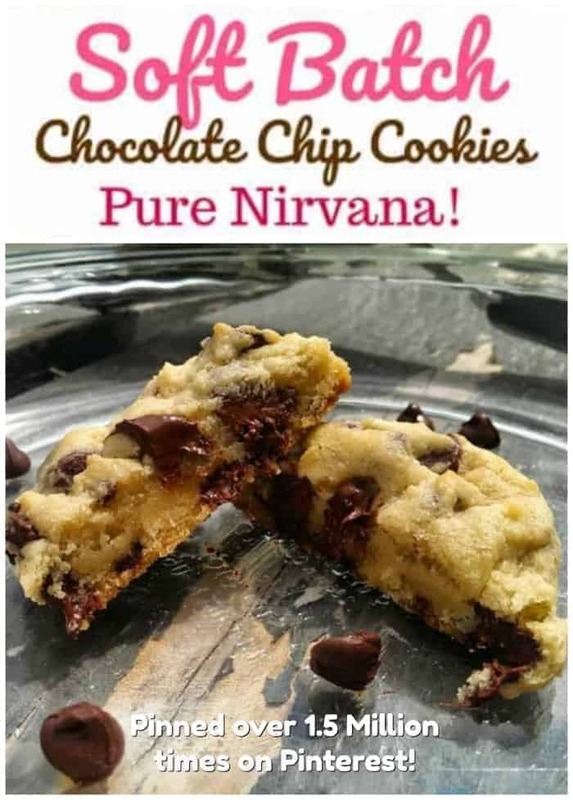 Pure Heaven! 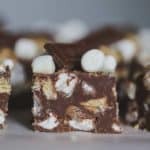 I used the same recipe from this Chocolate Cherry Pistachio Rocky Road Fudge. 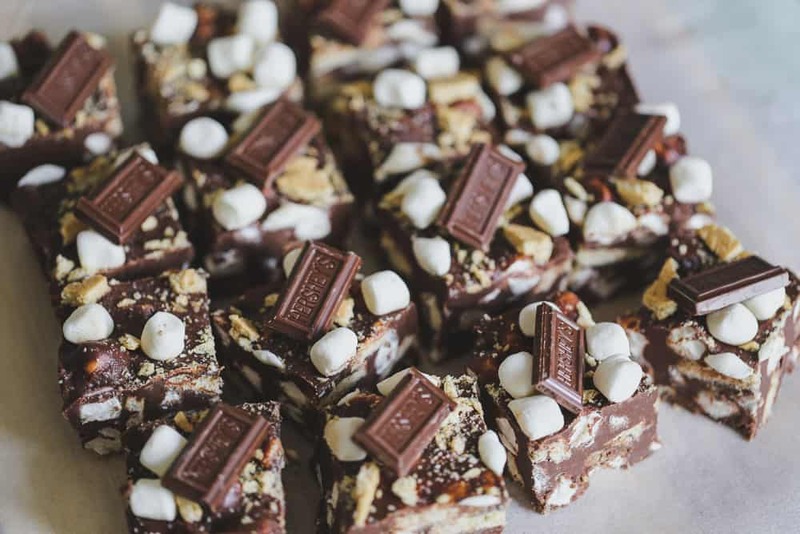 You’ll also love this Heavenly Chocolate Rocky Road Candy. 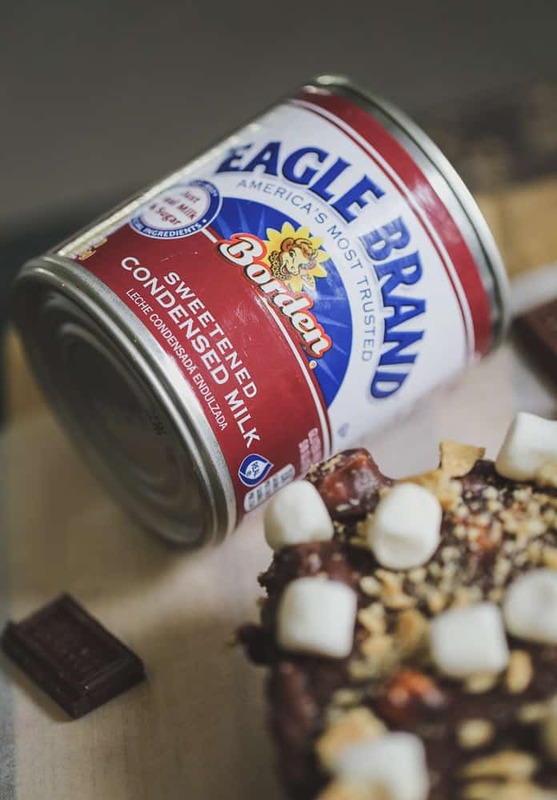 Both made with Eagle Brand Sweetened Condensed Milk, which is a major staple at our house. BTW…She’s had all three fudges, so there’s that ‘3 times a charm’ scenario again. It has to be a sign from heaven right? 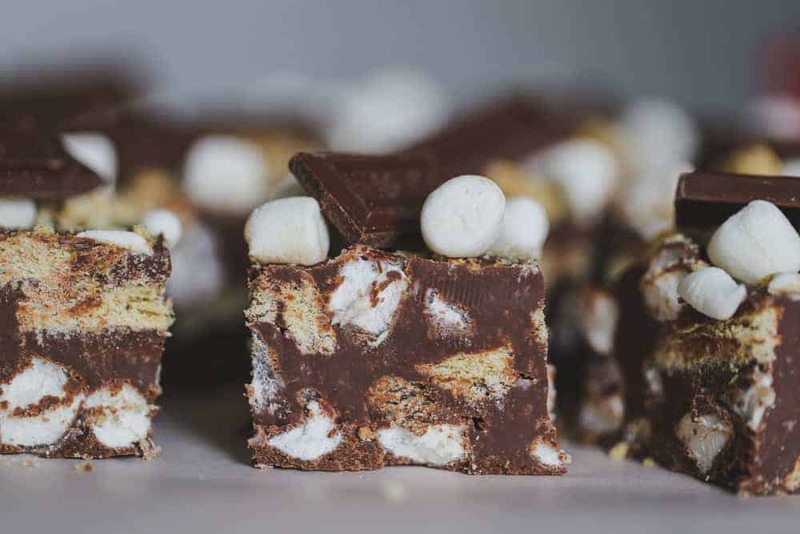 Chocolate, graham and marshmallow heaven!! 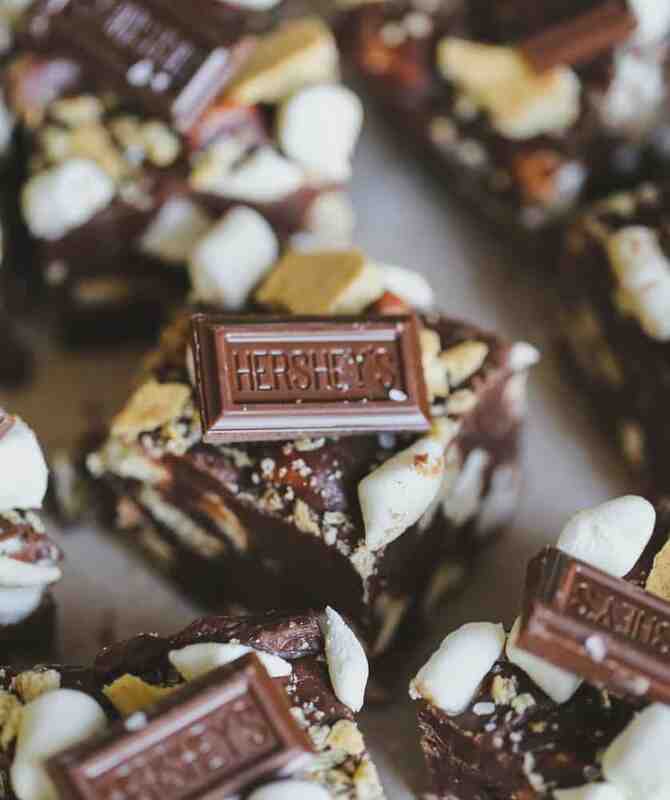 Easy S'mores Fudge has to be a sign from heaven right? 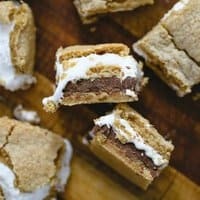 Chocolate, graham and fluffy marshmallow Heaven!! Yassss! 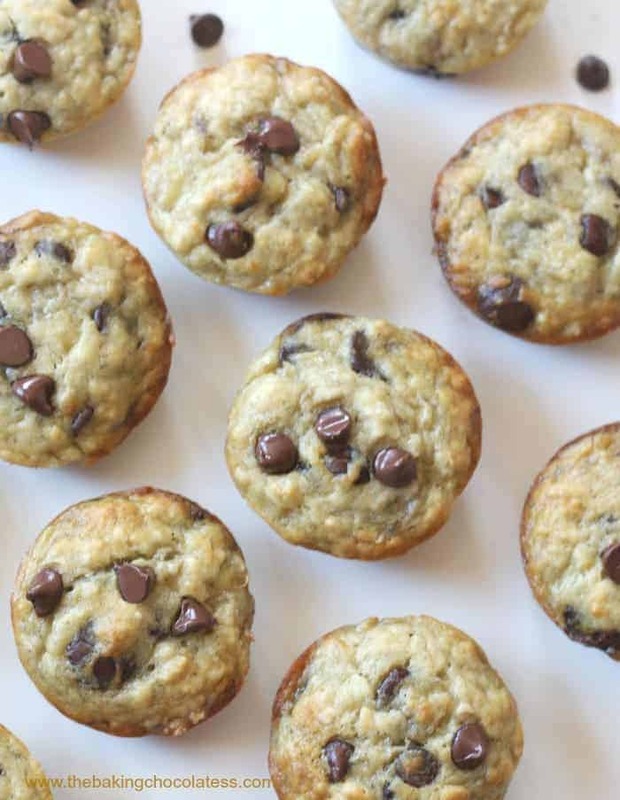 So easy and super delicious! 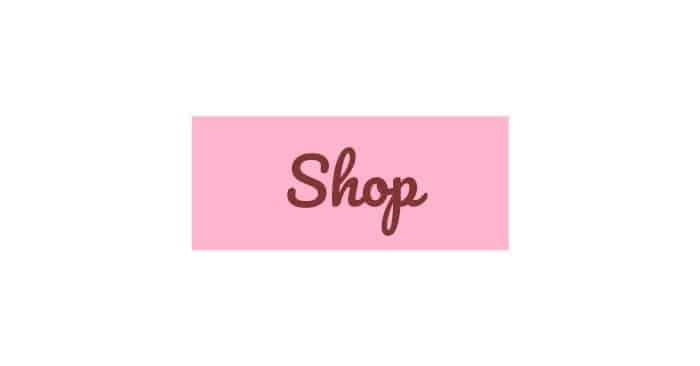 Great for all holidays, gifting and party treat yums! 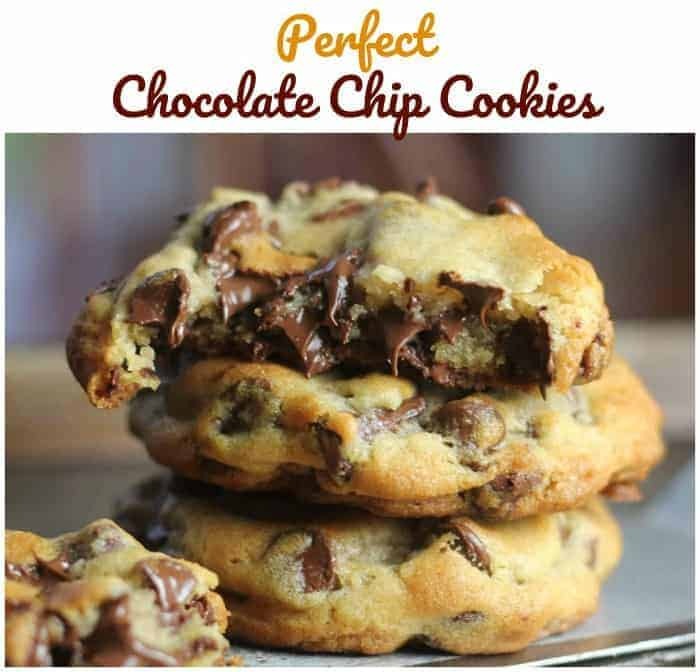 Combine the chocolate chips, the sweetened condensed milk, and the butter in a medium size glass bowl and heat in the microwave for 90 seconds. Stir to combine and heat another 15 seconds. Stir and heat an additional 15 seconds. 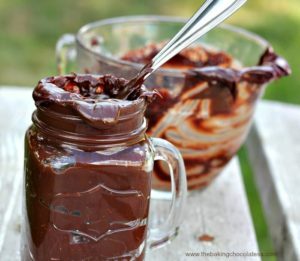 As you are stirring, if chocolate isn't melted all the way, it will still keep melting and that is fine. 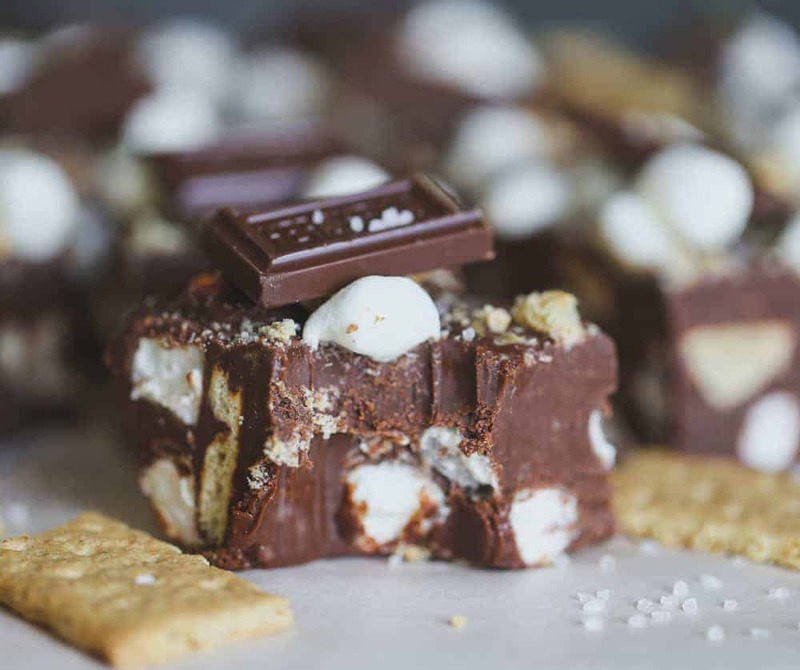 Add the chopped graham crackers and marshmallows to the chocolate in the bowl. Stir to combine. Scoop into a parchment lined 8x8 pan. 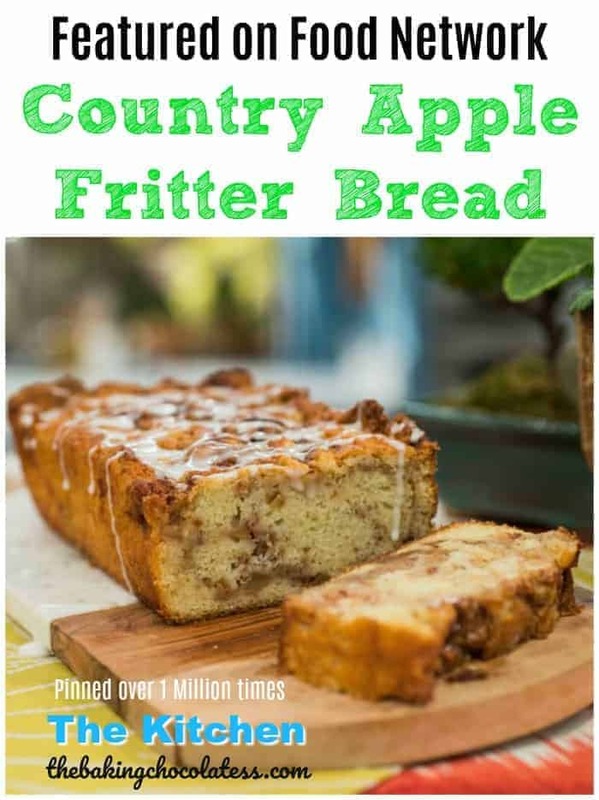 Spread with a spatula to even out. 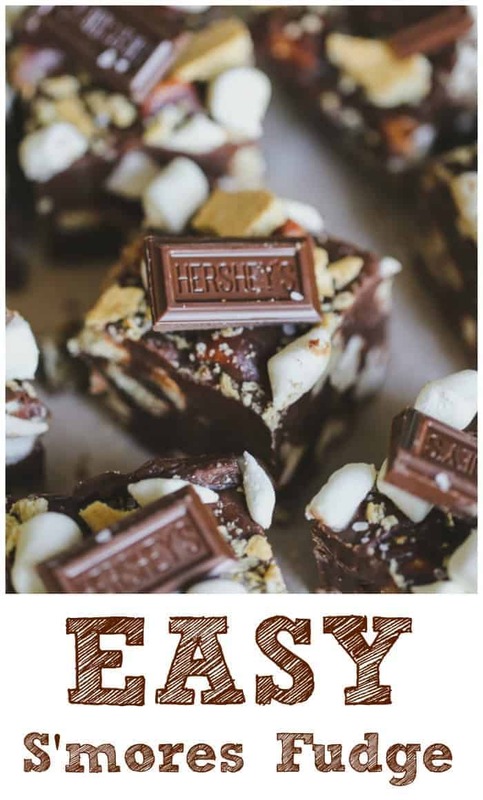 Slice into 1 to 1-1/2 inch squares and store in an airtight container in the refrigerator. I love these and you bestie friend in all the land!